Build Your Own Lawn Maintenance Business With a Successful Franchise. 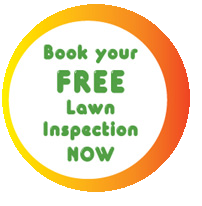 Nearly 1 in every 12 homes is serviced by a similar lawn treatment service provider in the United Kingdom alone. We strongly believe demand in New Zealand will reach similar level in years to come. Interested In Owning A Pimp My Lawn Business? On the other hand, if you’re a motivated businessperson who enjoys working for themselves and understands how a proven business system can maximise profitability and reward, we want to hear from you. We will support you with all the resources you need to run a successful operation that has significant growth potential and the ability to build a regular & ongoing income stream. "I joined Pimp my Lawn 2014 as a franchise owner and have thoroughly enjoyed being my own boss. I am thankful for the full support of Kate who has been instrumental in helping me establish and grow my business from scratch. I still continue to beat sales predictions month on month so my business is delivering far more than I expected. Nick has offered me full support in the field since day one and, even with my experience, has honed my skills greatly. I am a firm believer in the Pimp my Lawn method. The head office is great too with the team sorting my schedules and looking after everything else. I have the satisfaction and enjoyment of seeing my clients lawns transformed into lush green lawns all year round.